2019 application deadline is June 30! The Tennessee Green Fleets (TGF) Certification Program is an opportunity for fleets that are based or operate in Tennessee to receive certification for their efforts to reduce petroleum consumption, use alternative fuels or advanced vehicle technologies, and reduce emissions. 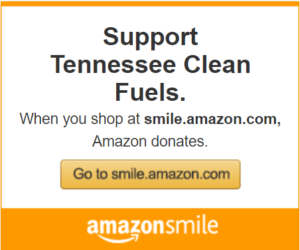 Tennessee Clean Fuels (TNCleanFuels) will administer this via collaboration between the state’s two Clean Cities coalitions, the East and Middle‐West Tennessee Clean Fuels Coalitions. TNCleanFuels will review your fleet’s fuel use and vehicle data to score your efforts. Fleet will be judged using a three‐star system and—for those fleets that achieve at least one‐star certification—will be recognized for their hard work at our annual awards event. This awards program will certify fleets based on actual impacts and other actions they have taken to improve fleet sustainability and efficiency. The purpose of this program is to take a look at your vehicular operations to review and attest to your actions that reduce petroleum consumption, reduce greenhouse gas (GHG) emissions and increase the number of alternative fuel vehicles in your fleet, while also investigate the successes you’ve made on the administrative side that support quality and quantifiable achievements. Certain members in TNCleanFuels can have their TGF review at no cost; otherwise, there is a fee for TGF review. See the Important Information section below. 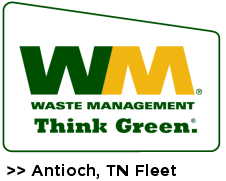 The 2018 class of ‘Tennessee Green Fleet’ certified fleets. The 2017 class of ‘Tennessee Green Fleet’ certified fleets. The 2016 class of ‘Tennessee Green Fleet’ certified fleets. Strategic Plans: Do you have a strategic plan, that is written down, and that includes petroleum use, GHG and criteria pollutant reduction goals? Do you have an idle reduction plan? Do you have leadership support for the plans and goals? Partnerships & Communications: Do you partner with any organizations to support, deploy, or assist you in your efficiency, alternative fuel, or advanced technology efforts? Are you communicating your successes internally (within the company or organization) and externally (to the outside world)? Technology & Equipment: Are you using telematics to help inform your processes, or do you own and operate any alternative fuel refueling infrastructure? Do you use bio‐based lubricants? * Three‐star fleets also MUST have a strategic plan, have leadership support for the plan, and be communicating internally and externally their actions. Total annual fuel use for all used fuels (i.e., gasoline, diesel and alternative fuels) by the fleet, separated by fuel in gallons or GGEs for a recent 12-month period. A list of all vehicles in the fleet including fleet numeric totals by type, clarifying which ones operate on any alternative fuel or advanced technology and which ones operate on gasoline or diesel. It does not have to list every vehicle but can group vehicles by type such as police sedans, SUVs, work trucks, mowers, or heavy‐duty trucks. Finally, the lead fleet contact will need to answer a series of questions about the strategic plans and supporting actions they are taking toward fleet improvements. That will be handled during a phone call with Jonathan. If any further data is needed, we will contact you after receiving the above. Any fleet may break out a specific unit of operations within the fleet and seek certification for just that set of operations. In other words, you can partition your fleet and have only part of the fleet analyzed, such as separating on‐road versus off‐road vehicles, or area‐confined operations. For example, a municipality or county could include just refuse, police or parks & recreation department’s vehicles in the review. It could also include just the delivery trucks or tractor trailers if part of a distribution business. Please contact Jonathan Overly with any questions. When will fleets be notified? Fleets will be notified of the results from their analysis within a month of their supplying the needed information. Where will the awards be provided? 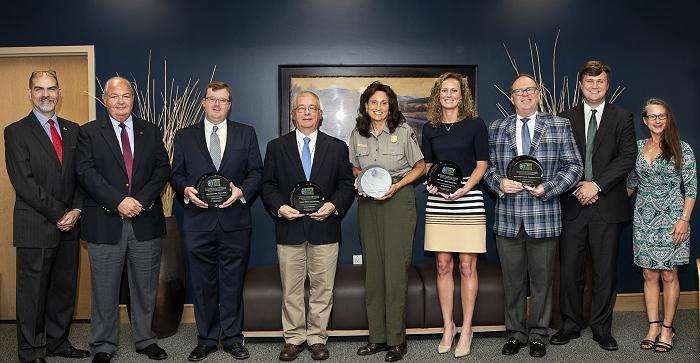 We are partnering with the Tennessee Department of Environment and Conservation and their Sustainable Transportation Awards Forum (click to visit) for the awards ceremony. What does it cost to get our fleet analyzed and potentially certified? Any fleet that is a dues‐paying member in Tennessee Clean Fuels at the Silver level ($1,000) level or higher can have their fleet data analyzed at no cost. Fleets that are not members at the Silver level or above may have their fleet’s data analyzed for a fee of $249. This fee covers our time to review and analyze your fleet’s data, get additional information as needed from you, and assist you in making plans to achieve at least One-star (or greater) certification as necessary. NOTE: TNCleanFuels is considering adding calculations for criteria pollutants of concern in Tennessee in an expansion of the TGF Program in a future year. Additionally, there may be future modifications of the scoring system to better assess fleet actions and their benefits to communities across Tennessee. 2019 Could this be your year? ?